Tenant and landlord laws and rules vary in different degrees from one state to the next, and each state has different laws and policies to govern their tenants and landlords. 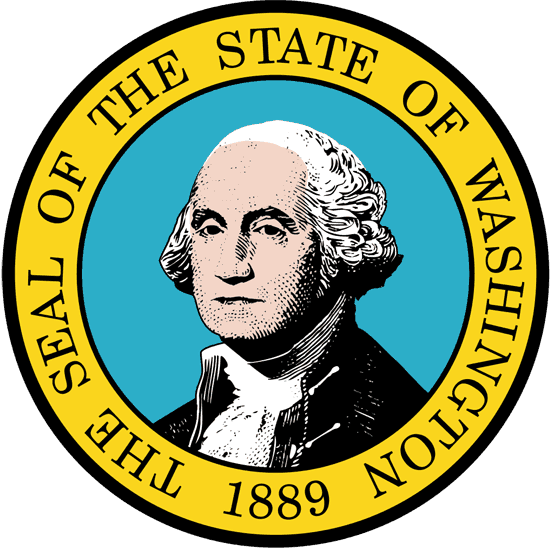 Washington landlord tenant laws may be completely different from any other state. This particular article is meant only as a compiled list of generalized guidelines as outlined in the official Landlord and Tenant Act (http://apps.leg.wa.gov/rcw/default.aspx?cite=59.18). The reader must take responsibility for reading up on the laws themselves, and if someone has a concern about their individual situation, they should assess the law accordingly. Stay up to date on Washington Landlord Tenant Laws + Save money on tenant screening and other property management needs. Join AAOA today, it’s FREE! 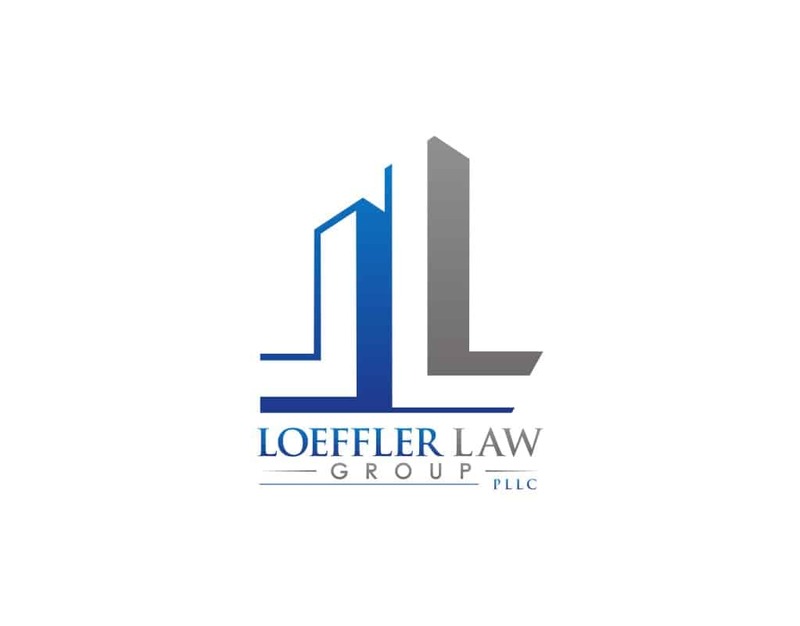 The Loeffler Law Group emphasizes landlord-tenant relations, residential and commercial litigation, judgment recovery and fair housing complaint defense. We have a proven track record assisting commercial and residential property managers with evictions, notices, leases, litigation, resolving disputes, and more. Our law practice has extensive experience in the field of landlord-tenant law. We effectively represent clients ranging from property management companies and real estate investment groups, to private landlords managing their own properties. No part of the Washington Landlord Tenant Law found on this website is a substitute for legal advice. If you have questions or believe you have a legal case you should contact an attorney. The legal information found on this page for Washington Landlord Tenant Law was not provided by Loeffler Law Group. Each tenant is required to pay every bill and utility as it is outlined upon in their lease (unless otherwise stated or agreed upon). All tenants must agree to and abide by the regulations for not only their state but also their city and county if there are rules only to those specific areas. Tenants must maintain their area of living. The rental units must remain properly sanitized and clean, free of dirt and grime and all trash should be disposed of in a timely and appropriate manner. If a tenant causes an infestation of any kind, whether it is bugs or mold of some sort, fumigation and renovation of the home is the tenant’s responsibility. Use the right kind of electrical systems such as air conditioners and heating units and see to it that any damages are repaired if need be. Electricity and plumbing must also be maintained. The home must be left identical to how it was found to begin with. Aside from slight evidence of living wear, everything else should remain untouched. Do not remodel (paint, carpet etc.) without the permission of the landlord. According to the Landlord-Tenant Act, tenants are not permitted to participate in any sort of gang activity while on the premises of the landlord’s property. They also are not allowed to participate in or encourage illegal drug usage or activity on the premises as well. Tenants must not cause any sort of disturbance of any kind to their fellow tenants and must not be the subject of complaints as a nuisance. The dwelling that they own must not go against state or local laws or endanger the tenant in any way including, health and safety. If the tenant and landlord share any space, the space must be kept up and neat, in courtesy of the tenant. If any structural part of the rental unit becomes damaged such as the floor, roof or chimney, it is the responsibility of the landlord to make sure it is properly repaired. If a rodent or insect infestation arises without being caused by the tenant, the landlord is completely responsible for the extermination. He must make every attempt to eliminate the problem. Landlords must make basic repairs to the home or living unit unless otherwise agreed upon beforehand. This includes maintaining heating, air conditioning, hot water heaters or any other appliance that interferes with the tenant’s living condition. The landlord is responsible for supplying all working smoke detectors as well as checking them regularly to see that they work in the case of an emergency. Landlords must provide their name and contact information to all tenants for the purposes of up keep and emergencies. Landlords must be sure to supply a receipt for all rent that is paid in cash with or without the request of the tenant. He must also supply a receipt in the case of any other form of payment if and when the tenant requests. If multiple families live in one particular rental unit (building or house), the landlord is solely responsible for providing trash pick-up services. On the other hand, if only one family is occupying the unit, he is not responsible for the trash pick-up. Lease and Rent Information In Washington landlord tenant laws, there are generally two different types of rental agreements. There are month-to-month rentals that can be either written or orally established. These are less binding and can last as little or as long as the tenant or landlord desires. The second type is called a lease, which generally lasts about a year (or another specified amount of time). This type of a rental agreement is more binding and requires that the tenant commit to staying for a certain time period. Leases are required to be in writing in order to prevent any misunderstandings. Most month-to-month renters usually like to have their rental specifics in writing as well to create a more professional transaction and to prevent any issues from occurring. When it comes to a lease, always read every piece of the instructions thoroughly. Be sure to have the landlord explain whenever something is questionable or unclear. Establish who is going to pay for various unforeseen circumstances such as a hot water fee, utilities, parking, trash disposal and snow removal in the case of inclement weather. It is important to determine these things beforehand to eliminate arguments further down the road. Tenants should be sure and get a good idea of what utilities are going to cost if they have agreed to pay them. Talk with the electric company, natural-gas company, and heat supply to see the average cost of each item over the past year. This can help determine how much to budget for utilities. More than likely, a landlord’s insurance will not cover the tenant’s damaged or lost property or furniture. Something to consider buying would be tenant’s insurance to help offset the cost of stolen or damaged items, especially when living in an area with a higher crime rate. According to (http://apps.leg.wa.gov/RCW/default.aspx?cite=59.18.230) there are certain terms that may be illegal for a landlord to incorporate into his rental terms. If any of the following are placed into the rental terms and agreements, the tenant is not required to abide by them. It waives the rights instated by the Landlord-Tenant Act. Forces the tenant to surrender their right to defend themselves in a court of law against the landlord. Limits or takes away the legal accountability of the landlord. Claims the landlord is not responsible for repairs. States that the landlord is allowed to enter the dwelling of the unit without the permission of the tenant. Gives the landlord permission to confiscate personal belongings if the tenant gets behind on rent. Before tenants move in, it is suggested that they get a Conditions Checklist. This will allow them to take note of how the rental unit is when they first move in and can help prevent them from having to pay for damages that they may not have been responsible for. Landlords are allowed to raise month-by-month rent as long as they give the appropriate amount of notice. Tenants must be given a minimum of a 30 day warning if a landlord is thinking of changing the month-to-month rental cost. The warning must be in writing. For a lease, changes cannot be made throughout the year, but can potentially change when you sign on for another period of time. Landlords can’t refuse to rent a unit to or make changes to rental terms for any reason due to discrimination. This includes but is not limited to gender, race and religion. The Federal Fair Housing Act (http://portal.hud.gov/hudportal/HUD?src=/program_offices/fair_housing_equal_opp/FHLaws/yourrights) states that it is not legal to discriminate toward families with children or prevent them from renting a space or rental unit. Landlords are absolutely not allowed to come into the dwelling of the tenant unless otherwise agreed upon. Tenant’s must be given a two-day notice and are allowed to refute it if the time does not work for them. The landlord must also come at a reasonable time of day. The only time a landlord may be allowed to enter without notice is in the case of an emergency. Security Deposit Information Generally, almost every landlord will charge some sort of security deposit. This is a fee that tenants pay that can go toward any number of things. It may encompass a cleaning fee so that in the event that the tenant moves out, there are sufficient funds to clean up the unit. It could also go toward anything from repair of the parking lot to individual unit upkeep. It generally varies from landlord to landlord. Tenants are not allowed to use their security deposit to cover their rent for one month unless it is established in writing between the tenant and landlord. If a deposit is made, a written receipt must be given. The landlord must provide a stated checklist, which describes the previous condition of the rental unit at the time of the security deposit payment. If a landlord fails to do this, the tenant may sue the landlord to get the security deposit returned to them. Landlords are not allowed to use the deposit toward normal living wear of the home such as chipped or faded paint or worn-out flooring. The deposit may only be used to fix damaged doors or windows, or any other item that may be deemed unsafe for the tenant. In some cases, the security deposit is returned when the tenant leaves the unit in top notch condition. This should be in writing and agreed upon with both the landlord and tenant beforehand. If this is the case, the deposit should be returned within two weeks or the landlord must provide a written statement on why it is not being returned. At this point, the tenant is allowed to make a claim and potentially sue the landlord for the deposit. Information Regarding Termination and Eviction Lots of things can happen and circumstances can arise where a tenant may want to break their lease or a landlord may want to evict their tenant. There are different rules regarding these processes. If a tenant is going to move out, they must notify their landlord in writing a minimum of 20 days before the end of the rental time. There may be other unforeseeable circumstances that may cause a tenant to want to abandon their lease, but these cases are not protected by the law. The only option is for the tenant to make a written or verbal personal agreement with their landlord, and the two must mutually decide to end the lease. You do not have to give notice if you are choosing not to renew your lease. The landlord is not required to give a reason for asking their tenant to move out as long as they submit the printed request at least 20 days prior to the end of the renting period (in a month-by-month rental). If a tenant remains in the unit past the time of the notice, the landlord is then allowed to take the eviction process to court. The tenant may then have to appear in court under a Summons or a Complaint for Unlawful Detainer. The landlord cannot physically remove the tenant from the premises, but after a certain amount of time and action, the sheriff may be allowed to do this. By using AAOA for Washington Tenant Screening Background Checks to screen your tenant you’ll be able to protect your investment and ensure you’ve got a great tenant. AAOA also provides additional information regarding how to properly screen your applicant and what signs to look for in a bad tenant. Looking for landlord tenant laws outside of Washington? The American Apartment Owners Association offers helpful landlord tenant laws for all 50 states. Click on any of the states listed below and go directly to its landlord tenant law page. To visit the homepage of landlord tenant laws, click here.